In 2018, around 60% of the equity turnover on the Vienna Stock Exchange came from UK trading participants. Hence equity turnover declined by 16.3% compared to the previous year. The most active stocks were Erste Group, OMV and Voestalpine. The SME segment "direct market plus" started with 8 companies, including 4 new listings. 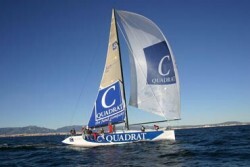 C-Quadrat plans to spin off the business operations of C-Quadrat Wealth Management GmbH (formerly: C-Quadrat Kapitalanlage AG) to ARTS Asset Management GmbH, in which the company holds a 45% stake. In return, societal profit participation rights ("sozietäre Genussrechte") will be granted to the company instead of additional company shares. Telekom Austria is strategically strengthening its search for takeover targets and has made EUR 1 billion available in the war chest. 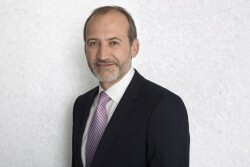 CEO Alejandro Plater has announced his intention to expand again in the Western Balkans (Serbia, Croatia and other countries of former Yugoslavia). 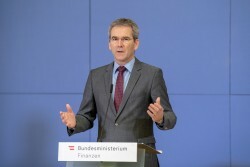 Finance Minister Hartwig Löger plans to revive the Austrian capital market for SMEs by making trading of bearer shares of Austrian companies on the Third Market possible again. C-Quadrat Investment AG is declaring the following financial reports below. 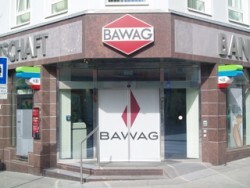 Bawag presents its preliminary figures for 2017. 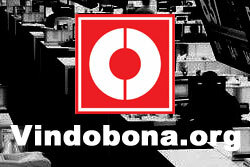 The net profit will amount to 466.6 million euros (-1.4 percent). Due to profits, there will be dividend payments to shareholders. 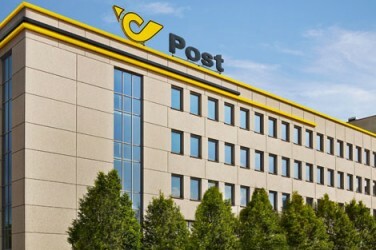 The long-term distribution partnership with Austrian Post is to be terminated. AMAG Austria Metall AG continued on its growth track in the 2017 financial year, achieving its best operating result historically (Revenue: +14 % to EUR 1,036.2 million; EBITDA: +15 % to EUR 164.5 million) and reaching a milestone for further organic growth with the commissioning of its new cold rolling mill and further finishing plants. 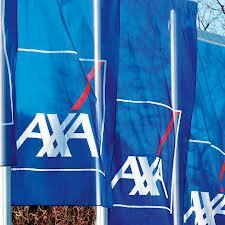 Net income after taxes amounted to EUR 63.2 million (+36 %). With the consent of the supervisory board, the management board of AMS has resolved to launch a private placement of senior unsecured zero-coupon convertible bonds due in 2025, in an aggregate nominal amount of EUR 600 million and a denomination of EUR 200,000 each. The Bonds are initially convertible into 4.41 million new ordinary no par value bearer shares from the Company's conditional capital, representing approximately 5.2% of the current outstanding share capital of ams. Subscription rights of existing shareholders of ams to subscribe to the Bonds have been excluded. The Bonds will not bear interest. 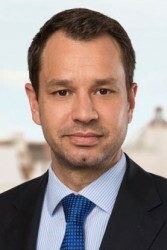 Egger Holzwerkstoffe intends to issue a deeply subordinated bond with perpetual maturity and an early redemption option for the issuer after five years (hybrid bond). UniCredit Bank AG has been mandated as Sole Structuring Advisor and Sole Bookrunner. 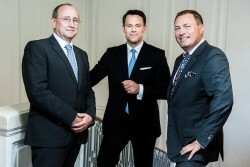 Raiffeisen Bank International AG acts as co-lead manager. The Management Board of Lenzing AG has resolved to propose distribution of an unchanged basic and higher special dividend for 2017 financial year on the basis of its preliminary business results which have not yet been subject to a final audit. The dividend of EUR 3.00 per share is planned to remain constant, whereas the special dividend should be increased from EUR 1.20 to EUR 2.00 per share due to Lenzing's performance in the 2017 financial year. The A1 Telekom Austria Group (VSE: TKA, OTC US: TKAGY) announces that the Management Board of Telekom Austria AG adopted a resolution today to call and redeem the EUR 600 mn hybrid bond issued by Telekom Austria AG in 2013 (ISIN XS0877720986) (the 'Hybrid Bonds'). 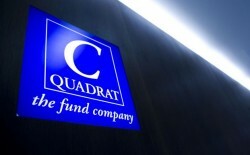 Due to the positive performance of several investment funds managed by asset management companies of the C-Quadrat Group, which reached new price highs, in December 2017 the C-Quadrat Group realized additional revenue from performance-related remuneration. 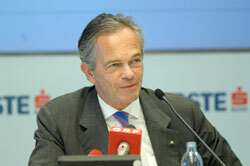 Erste Group expects to post net profit of approx. EUR 560 million in Q2 16, raises guidance for 2016 to ROTE >12% (up from 10-11%). Following the completion of all regulatory requirements, Raiffeisen Bank International AG (RBI) formally closed the sale of its Slovenian bank, Raiffeisen Banka d.d. The sales price will be kept confidential. Changes in the supervisory board of Wiener Börse AG and CEESEG AG have taken place and a new executive committee was elected. 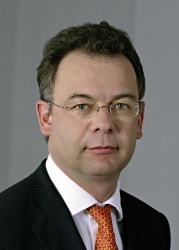 Heimo Scheuch, CEO of Wienerberger AG, will serve as Chairman of the Supervisory Board. 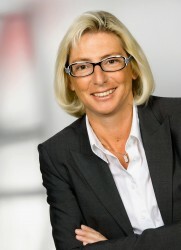 Angelika Sommer-Hemetsberger, member of the Management Board of Oesterreichische Kontrollbank AG, was elected Vice-Chairwoman of the Supervisory Board. International institutional investors are largest group of investors on the prime market of the VSE Vienna Stock Exchange. They account for some 78 percent of institutional free float of the prime market index ATX Prime stocks, according to a study. Voestalpine steel buys two specialty steel firms. 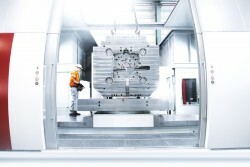 With the purchase of Advanced Tooling Tek (ATT) in Shanghai, China, and the Sermetal Group in Barcelona, Spain, Voestalpine is enhancing its position as a producer of special steels. Both companies are specialized in the processing and sale of special steel products for tool and mold-making, a segment whose main customers are the automotive and electronics industries. Together ATT and the Sermetal Group have around 160 employees and generated a total revenue of around EUR 43 million in 2015. “A net profit of nearly 1 billion euro, a strong capital base and substantially lower risk costs for 2015 show that we have done our homework,” said Andreas Treichl, CEO of Erste Group Bank AG, about the full-year 2015 preliminary results. 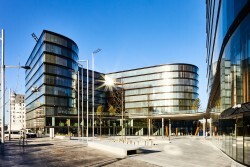 At the beginning of this year Erste Group started moving into its new headquarters at Erste Campus located in the new district of Quartier Belvedere, built on the former site of the Südbahnhof train station. 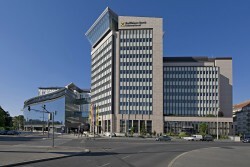 Raiffeisen Bank International AG (RBI) announces a preliminary 2015 consolidated profit of EUR 383 million. This is above the guidance previously given, primarily due to lower than expected net provisioning for impairment losses of EUR 1,266 million, 28 percent below 2014. 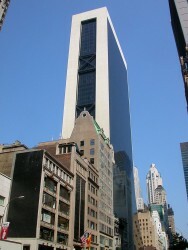 This development was spread across a number of markets. General administrative expenses were EUR 2,915 million, 4 per cent below the prior year. Transformation program costs in 2015 were approximately EUR 90 million, in line with guidance. FY 2015 guidance had also included goodwill impairment charges and risk costs amounting to EUR 124.1 million, which were reallocated to FY 2014 in the course of a restatement. A consortium consisting of Austrian construction group Strabag and Croatian industrial company Končar has been awarded the contract to build the Vranduk power plant on the river Bosna on behalf of energy supply company JP Elektroprivreda BiH. 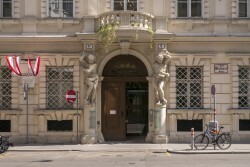 The Vienna Stock Exchange can look back at a year of solid developments on the stock market in 2015. The uptrend in equity trading volumes has now been sustained for more than two years: trading volumes were up by 24.3%; the ATX gained 11.20%, and innovations in bond trading were the highlights of the year. Market capitalization on the Vienna Stock Exchange reached EUR 86.28 billion in December 2015. This was a gain of 7.86% over the year-end figure of 2014. Raiffeisen Bank International AG (RBI) has reached an agreement to sell its Slovenian bank, Raiffeisen Banka d.d., to Biser Bidco, which is managed by an affiliate of Apollo Global Management, LLC. The purchase price has not been disclosed. The expected deconsolidation effect on RBI’s consolidated result will amount to minus EUR 49 million. 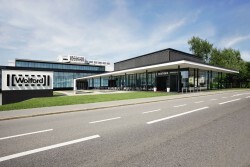 Schuler AG has received a further major order from FAW Volkswagen Automotive Co., Ltd. The Chinese company ordered press line with ServoDirect Technology and a servo tryout press for its Qingdao facility. 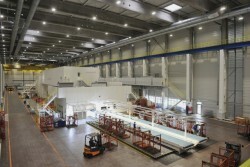 With a total force of 81,000 kilonewtons, the servo press line will be mainly used to produce car body parts, such as hoods or doors. 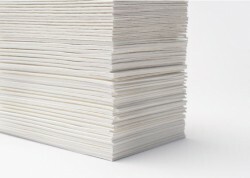 The order value is in the middle double-digit-million-euro range. 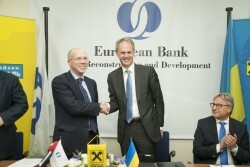 The European Bank for Reconstruction and Development (EBRD) is about to become a 30 per cent shareholder in Raiffeisen Bank Aval JSC (RBA), a leading universal bank in Ukraine and a subsidiary of Raiffeisen Bank International AG (RBI), under an agreement signed in Kiev today. In the first half of the business year 2015/16 (April 1 to September 30), the steel group Voestalpine continued its performance despite an economic environment that – viewed globally – is inconsistent. 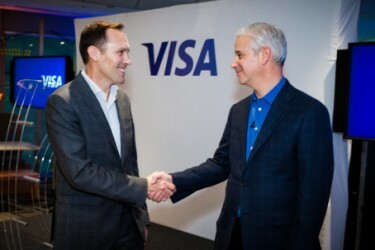 In a year-to-year comparison, it increased its revenue by 4.1% from EUR 5.6 billion to EUR 5.8 billion. 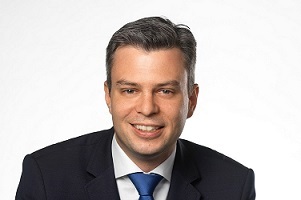 Kapsch TrafficCom has announced that Alexander Lewald will be joining the Management Board of Kapsch TrafficCom AG as Chief Technology Officer effective November 1, 2015. RBI’s Russian subsidiary (AO Raiffeisenbank) closed the sale of its pension fund business (ZAO NPF Raiffeisen) to the Russian BIN Group. The transaction will result in a one-off gain before tax of around EUR 87 million for RBI, which will be booked in the fourth quarter of 2015. 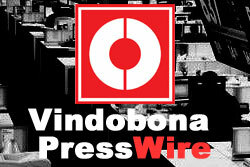 It has been agreed that the parties will not disclose the price at which the transaction took place. Wienerberger, the world's largest producer of bricks, has again won recognition for its Annual Report 2014 and also, for the first time, for its Sustainability Report 2014. 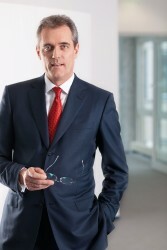 Heimo Scheuch, Chief Executive Officer of Wienerberger AG, takes pride in these distinctions: "Open and active communication with all our stakeholders and the highest possible level of transparency are top priorities for us." Despite the traditional sluggishness in summer months, trading volumes in equities rose steeply in Q3 2015 by 19.1%, climbing from EUR 11.41 billion (Q3 2014) to EUR 13.59 billion (Q3 2105).